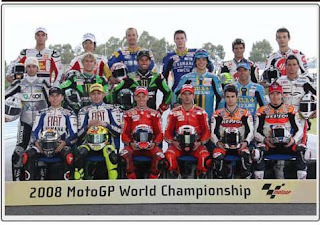 Participants in the race motogp 2008 might be interpreted as line up best. From 18 riders, there were 11 had the degree of the world champion. If being totaled by the amount had 24 degrees. From all of them, 16 riders had won in the level of the world champion like GP, WSBK and WSS. Only John Hopkins and Sylvain Guintoli that had never won.